I dedicate this one to my Grandma in America. 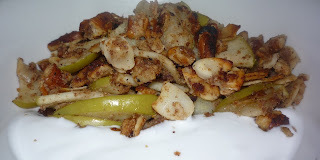 When I was a little girl my Grandma used to cook us all sorts of beautiful healthy food. This is my paleo version of one of them. Its a sort of breakfast apple crumble. She used to serve it sauted with cottage cheese. I no longer eat dairy so here is my paleo version. Thanks for your inspiration grandma! 1. 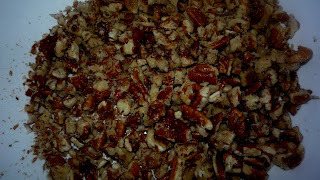 Place your pecans in a mixing bowl (I used the bottom of a ceramic mug) and smash them up! 3. Add your apples and apple juice concentrate. 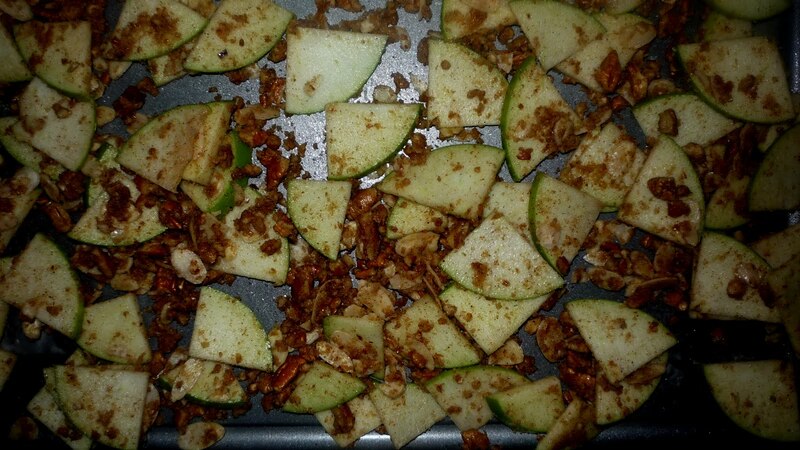 Ensure each apple piece has been coated with the nutty mix! 4. 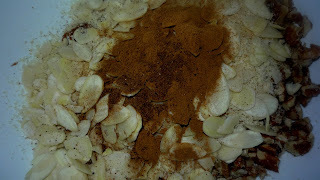 Place apple mix on a greased oven tray and bake. I removed my tray and turned my apple mix over ever 3 minutes for 15 minutes. 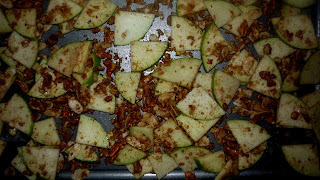 By the end of the 15 minutes my apples were nicely softened and my nuts were toasted. 5. 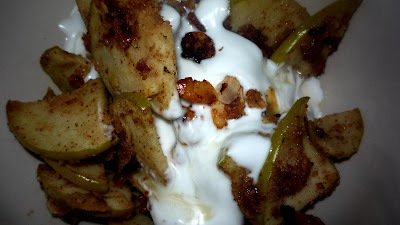 I served my apple "crumble" with coconut yogurt warm. I love this simple, healthy, sweet treat. 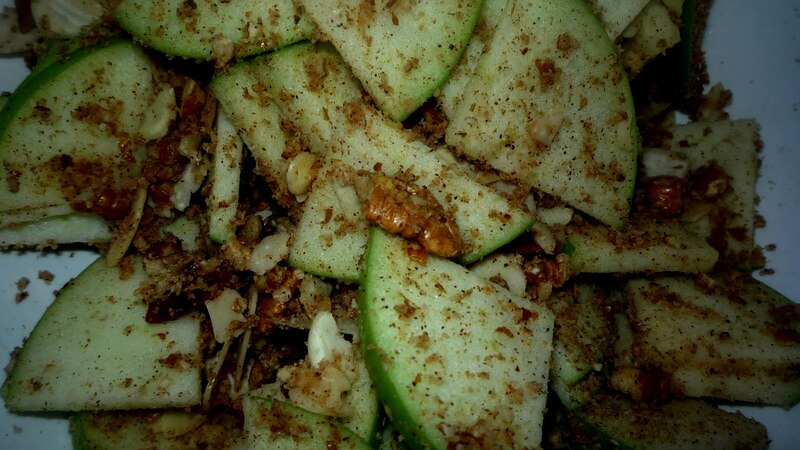 We sometimes have it as a healthier desert. I save the leftovers for my breakfast the next day! This makes makes enough for 3 people to have a nice bowl full. I do hope you enjoy! This looks SO good! 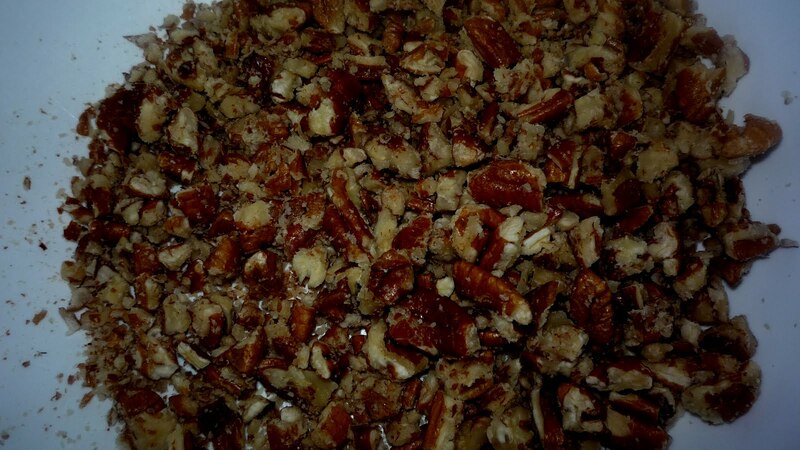 I made my less elegant version this morning but know your recipe will become my favorite. Well done grandma! You posted it correct! My day is made knowing you liked my post.